As a child the humble grabber machines were the game of choice and many hours (and wads of cash) were spent trying to grab an elusive prize. Now you can bring the magic of the grabber machine home with one that doesn’t require real money to play! 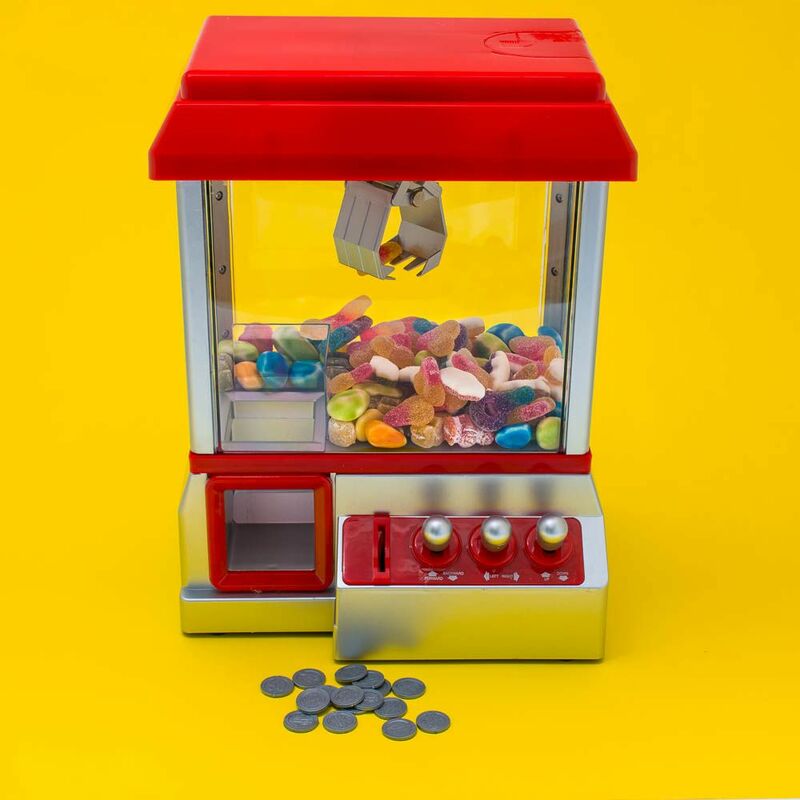 This Candy Grabber machine is perfect for anyone that has a sweet tooth and can be filled with your sweets of choice. Styled to look exactly like a retro grabber machine it has red accents and sleek silver controls. To fill your Candy Grabber with treats simply open the hatch on the lid and pour in your sweets. You don’t even need real money to play as this machine comes with 24 plastic coins that you can use to get your candy. When you slot a coin in the machine will start playing arcade music and you can use the controls at the front to grab your elusive sweets. The grabber is timed and you’ll have to try and grab your treats before the music stops and time runs out! Please note this product requires 3xD batteries to work. These are not included. This fun arcade style machine would be the perfect addition to any sweet lover’s home.